PENRITH Swimming Club hosted the annual Frenchfield gala which attracted teams from Appleby, Carlisle, Workington and Troutbeck Bridge. And it was good to see the pool building packed with spectators, which produced an enthusiastic atmosphere for the lively competition. Vicky Lydon ensured that the home team got off to a good start when she won the opening event, the 10 years and under-50m freestyle in a time of 36.93sec. 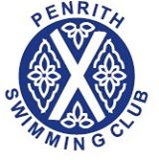 Other Penrith winners in the early events were: the 13 years and under 4 x 25m individual medley team, 1min 10sec; 16 years and under 4 x 25m freestyle team, 1min; Laura Huggon, 37.12sec, and Allan Armstrong, 36.74, in their respective 50m backstroke events; Naomi Smith, 38.47, in the 13 years and under 50m breaststroke; and Colin Slee, 33.18, in the 50m backstroke. After 16 events, with the home team having won seven races, they lay in second place just five points behind leaders Workington and 18 ahead of the third placed team. However, the middle section of the gala proved more difficult for the Penrith swimmers and it was 20 races before the next win arrived, courtesy of Rebecca Halliwell in the 13 years and under 50m freestyle in a time of 33.52. Danny Smith clinched victory in the 16 years and over breaststroke in 34.77. The girls’ 11 years and under and the 16 years and under teams then won their 4 x 25m individual medley races. By the end, Penrith had won 12 out of 50 races in the gala and finished in a highly credible second place with 176 points, although this was 41 behind winners Workington, who retained the trophy.